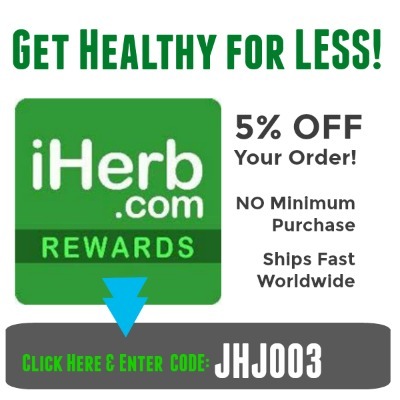 Hi Jennifer, you mentioned hemp hearts protein as an alternative, is it the same as hemp seeds protein? I just started taking hemp protein from Bob’s Red Mill brand (which makes me sleepy by the way) and want to make sure is the right option. Please advice. You want the whole help seeds, not a hemp powder. Sometimes people call the whole seeds “hemp hearts” when the outer hull or shell has been removed. The Bob’s Red Mill brand is NOT organic, so I would not recommend that one. 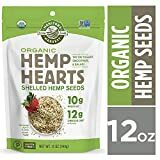 Instead, you can try the Manitoba Harvest ORGANIC Hemp Hearts or the Now Organic Hemp Seed Hearts, both of which can be found on iherb here. I really like your article. I’ve been doing a lot of research over the summer, trying to find the right foods to eat and there is so much contradicting information! What is your take on organic acai and baobab powders? Also, you mentioned beet powder as not good…is beet root powder also not good to have? The quality of powders in general has just gone way down in the last few years. I really wouldn’t advise to take much of any of them unless the product is 100% certified organic and a whole food powder, such a hemp hearts, spirulina, etc. I would definitely AVOID beet powder since beets can be a GMO food…and more importantly, it’s so easy to get just REAL whole organic beets! Acai powder, if organic, would be ok in moderation. Baobab powder – best to avoid. 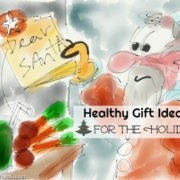 Better to find local, organic and seasonal whole food near where you live. I hope that helps! Keep up the good work! Thank you for posting the list of high protein options. I don’t prefer to eat meat. I am trying to lose weight, and I noticed that protein for breakfast helps curb my appetite. However, I rarely ate much proteins for breakfast because I’d gravitate towards easy carbs, like toast. According to a diet app I’m using, I should get 75 grams of protein a day, and I am often around half of that. I don’t believe I need that much, but I’d like to try to add some to my breakfast just for the appetite supressing effects, so I really appreciate your list. Oh! I forgot to add the main reason I wrote the above! I had tried protein powders and every time, they disagree with me, like make me feel dizzy or off balance or nauseous. as someone with 50 years experience in the field of nutrition, you are doing a disservice to your audience by filtering out posts/discussion around the fats in your highly recommended seed proteins. Actually, I didn’t filter you post. I was busy working with my clients, who are always my #1 priority for my time and work. My clients pay a lot of money to receive personalized support, and their emails and questions are always answered first. Answering to comments on my website, while very important, is something that I do in between many other tasks during my work week. That means I may not respond to a comment immediately. Anger and impatience are sparky emotions that are always related to a “hot” and overworked liver. It’s a symptom of toxicity. And an over acid pH in the body. In your case (or with anyone who has issues with control and anger), I would definitely recommend liver cleansing as the first place to start with your healing. I think your safety recommendation to eat whole foods rather than extracted protein powders is sensible, the less processed foods the better, however, focusing your smoothie intake around hemp seed, sunflower, flax, pumpkin or any seed in quantities to replace protein powders means you are also ingesting high amounts of fat. Yes they are good fats, but in order to get adequate protein from seeds to maintain blood sugar and build muscle, you are also going to get chubby eating all those seeds. Anyone wanting a quick pick me up smoothie who is exerting more than doing brisk walking and yoga, will crave more protein and be frustrated (get flabby) trying to substitute a cup of fatty seeds a day instead of their lean protein powders. The body needs healthy fats. There is protein in whole fruits and veggies too, let’s not forget! (Just look at primates who are vegetarians and do not ingest protein powders as an example.) Other source of health proteins include legumes, which contain fiber and protein plus other important nutrients such as manganese and phosphorous. Organic eggs can also be a source of protein, if eaten correctly, that is soft-boiled and never fried. I don’t think a human or a lab can ever “extract” something better than what nature has provided. If you are looking at eating huge volumes of protein, then the right question may be – Why the need for excessive protein? rather than Are too many seeds going to make me fat? Usually people who think they are craving protein are actually craving fat in their diet. This often happens to people who try to go on “no fat” diets. Protein powders are too harsh for the kidneys, that’s the bottom line. Kidney damage is a far worse problem than anything else. Protein powders also create an acid environment in the body. Have you ever smelled the acid sweat coming off a body builder? It’s an awful stench. Acidosis is the first stage of every dis-ease. The rates of heart disease, cancer and diabetes are rising every day, all over the world. No one needs a more acid environment, that’s your worst enemy. Your best fried for health is an alkaline environment – that includes more fruits and veggies – and of course more love, laughter, forgiveness and joy. Not to be underestimated in their value for your health! I body build to increase muscle mass (I’m male). It is a natural way to keep my overall body testosterone maintained as I age and to keep my cholesterol numbers low. And given the plant sources of protein you suggest — or any, for that matter — it is impossible to get to about 100g of protein a day without supplementing and also have a flat belly. This is a definitely gender specific problem. No one wants women to look like fire hydrant men with huge muscles. They don’t have the need for more than ~50g of protein a day. But men, trying to gain muscle mass … what do you suggest? Will keep this window open and look for your response. Thanks again for the MSG link. I appreciate the male desire for added muscle mass for vanity reasons, although there is no reason why one must have more muscle in order to keep cholesterol levels low. Often high cholesterol is linked to Niacin deficiency, especially if the person is already eating low or no animals fats. That said, male bodybuilders have a much higher risk of kidney disease and even kidney failure due to their high protein diet. Eating 100g of protein is not natural or normal. You are putting more stress on the body internally by attempting to do this. There are risks involved. More muscle now can lead to health problems later. I personally wouldn’t take the risk. Male or female doesn’t really matter, except that men tend to try to build more muscle than women, generally speaking that is. I don’t think anyone should look like a fire hydrant, whether it’s a man or a woman. It’s just not natural. I suggest that you allow your body to be a normal, healthy natural size and not force it into anything else. 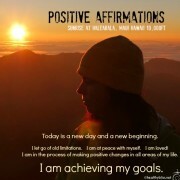 Then, love yourself fully for who you are, in good health and with a balanced exercise program in place. Eat whole foods with the fiber. Drink plenty of water. Don’t forget to get fresh air and sunshine too. And love your neighbors. The whole foods you mention to eat instead of protein powder are relatively high in potassium and I have to watch my potassium intake. (I have only one kidney.) I was researching various plant based protein powders and found a Protein Powder. It is made in the USA and the ingredient is organic sprouted whole grain brown rice protein isolate. I reached out to the company and was told that per serving it has 1mg of potassium, 7 mg sodium, no sugar. Would this be ok to take? I would advise you to speak to your medical doctor about how much protein you should be eating with only one kidney. I am not a medical doctor, but I am pretty sure that eating a diet too high in protein can overwork your kidney. As far as I know, doctors say no protein shakes or high protein diet plans with only one kidney. I would think that you want to avoid all protein powders for that reason alone, whether it has potassium or not is not really relevant. Also, in my experience, many people who have kidney weakness have magnesium deficiency. Taking a magnesium supplement may help greatly to improve the function of the kidney, but ask you doctor to be sure. 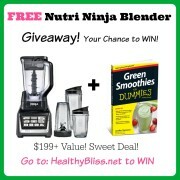 Hi Jennifer, I work at a health food store and decided to try the Vega One ‘All-in-One’ Nutritional Shake. I was told years ago that this product may have a ‘cleansing effect’ on the body and with my Eczema on my hands that I shouldn’t buy it. I forgot and bought it and took 2 scoops almost every day and have since thrown it out. I have developed a skin rash over most of my body which has now traveled to my face and forehead. My right eye is also swollen. I have been to doctors and am currently taking Allegra as of today (I tried Benadryl with no improvements). I have stopped taking the protein powder and unfortunately, I recycled the jar before contacting that company. I just had blood work and urine tested today and am awaiting the results. My Eczema also got much worse. The doctors have told me that I am having a severe allergic reaction. I think it is the pea protein from the protein powder. I hope my skin rash clears up soon. This is not fun. I will NEVER use a protein powder again. Thanks for your good article that I have since read. Thanks so much for sharing your story and shedding some truth on this important subject. I wish more people would have the courage to share their stories too! Luckily you found out fairly quickly and can get on the road to recover soon. As you now know, there was no cleansing effect…just an allergic reaction. Give an update when you get a chance, thank you! I am So glad I saw This! I’ve jumped on the healthy train with my eating habits for my daughter and myself. And was looking into protein powders. And this particular caught my eye. Thanks to you, and Jennifer for explaining what these protein powders can do to our bodies! I will stick to the entirely whole foods approach. I did get spurulina, it’s an acquired taste lol. Thank you so much for this. I’m switching to a whole food, plant based diet and so I was looking for something to add to my coffee. I added Ripple – just 2-3tbs – and I instantly felt light headed and got a headache. In general, I do NOT get headaches at all so for me, the response was clear. And I was so puzzled. But then I read your article and it is the same response I have to MSG. Thank you. Thanks very much. I was trying to find informative answer and honest. But all I see is someone selling there product. Thanks again. I have no idea why such an ingredient would even be in food, but I personally wouldn’t eat it! 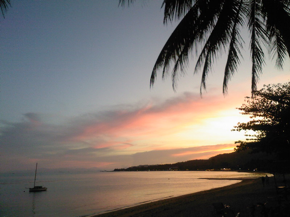 If you want more collagen, then just eat aloe vera…pure as natured intended! You can add it to a green smoothie. You keep saying hemp protein is “whole” and somehow good. Yet every single time I try to eat hemp protein I get a horrific migraine headache. I gave it 6 months and tried again- horrible migraine again. Hemp protein is not “whole” in the same way hemp seeds are. The protein has been extracted by a process. Whatever it is, I get migraines whenever I eat it, but I can eat whole hemp seeds and never get migraines. So it’s not the same thing, and definitely not a whole food. You raise an interesting and important note about hemp protein, and yes I agree with you that the whole help seeds are the way to go! Always read the label since some foods called “hemp protein” can contain other ingredients as well. 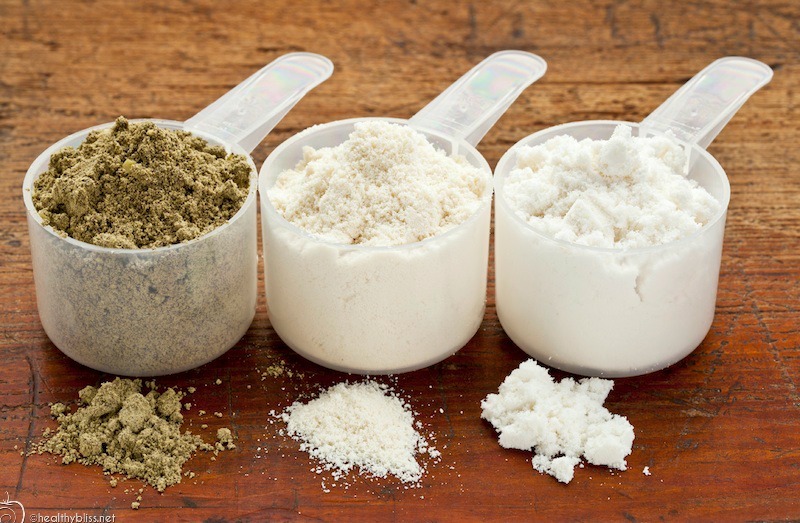 In theory, hemp powder should be whole hemp seeds ground into a powder, but with the millions of dollar profits in the protein powder industry, I am quite sure that companies are adding fillers and inferior ingredients more than ever before. It may also be extracted as you mentioned, which would be terrible. With a whole hemp seed (or hemp hearts) product, you can be sure there is nothing else added and it’s definitely the best choice. Thank you for sharing your story! Thank you for sharing this article. 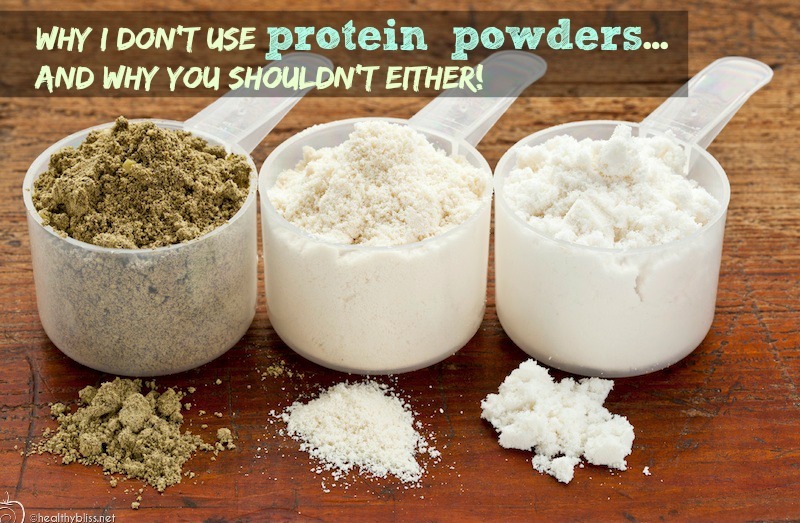 I get asked my opinion about protein powders all the time, and the overwhelming presumption is that they must be healthy because they are high in protein and sound like they come from whole foods. Plant-based or not, extracted proteins are processed foods. It’s always going to be better to get nutrition from (real) whole foods, and recognize that while processed/extracted parts of foods may have the nutritional components, the sum of the parts are never equal to the whole. I was drinking Ripple pea protein milk in my coffee for a while to get more protein and less sugar in my coffee and started to notice a terrible vaginal odor. It was just awful. Doctor couldn’t find anything but when I went on a trip and didn’t drink the milk the odor went away. Crazy right. It’s a bit embarrassing but wanted to share this because there might be other women affected and don’t realize where it is coming from. Thanks for sharing your story. Definitely will help others, so thank you for having the courage to share. THIS!! Protein powder in general gives me an outbreak of BV… I started working out recently..more than an hour a day, as opposed to light necessary every day stuff, and thought that I was doing myself a favour. I thought of cricket protein, but its hard to find a good source(organic, no additives, ethical etc.) FYI.. I had continuous outbreaks until I cut out dairy from my diet completely. I have an extremely sensitive body. I can do with the workouts, but I think I’ll stop using the protein(and this was organic, with all the bells and whistles.. Its weird how literally NO blog has info on how your diet affects your ‘down there’. Not enough people speak up about it. Thanks! I hope you are feeling better soon. I’ve seen outbreaks of BV (bacterial vaginosis) in our dog when we feed her certain foods with high amounts of pea protein. It’s almost impossible to find a dog food without it these days, even organic (probably mores with organic actually). The one thing I found that helps clear it more quickly is to give her Vitamin C twice daily. Since she is a big dog (115 lbs), I give her 200-250mg in the morning and again in the evening. Humans can tolerate much more Vitamin C. In just 1-2 days, her outbreak will start to clear. I’ve since given up on trying different brands and now make her food from scratch at home. Thank you much for spelling this out. I heard protein powders “weren’t good” but I ignored because they’re convenient and economical and I didn’t know exactly why they were discouraged. I have a green smoothie every morning and have used varying powders that I realize are bad now (and may explain my rather constant back ache.) Hemp protein is rough on my stomach and though I use flax seed daily, it too is a bit too fibrous for me to use in good measure as my main protein. 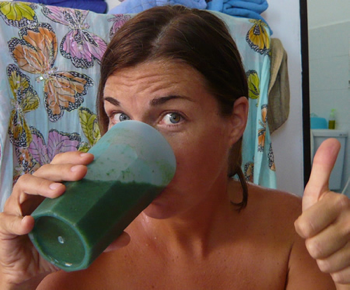 Spirulina is also ok with me in smaller doses, but how about powdered peanut butter like Organic PF Fit, PB Slim, etc.? Thank you and I will now be following you for the straight scoop! I would recommend the try an organic tahini (sesame seed paste), as long as you don’t have any allergy to sesame. The sesame seeds are a natural source of zinc, protein and even calcium, and would be more nutritionally dense than peanuts. Also, the taste is very nice and yet still similar to a peanut butter texture and taste. 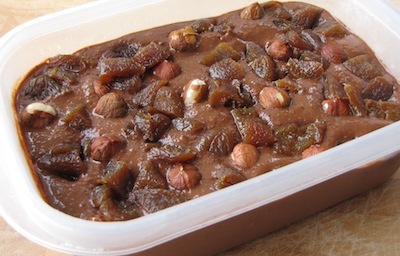 Many of my clients really like blending banana, pear or apple, 1 date, 1-2 Tbsp. tahini, 1 tsp. spirulina powder, 2 Tbsp. ground flax seed (you can reduce to whatever amount suits you) and 2 cups filtered or fresh water. Dried organic apricots or fresh persimmon are also nice added flavors for a healthy morning smoothie. If you don’t like the sweet fruits, then try blending celery, tahini, spirulina, 1 green apple, 2 Tbsp. fresh lemon, 1/2 banana and 2 cups filtered or fresh water. If you are ok with chia seeds then you can also add 2 Tbsp of chia instead of flax but just remember to soak the chia seeds in water overnight before using. How many grams of protein do you consider adequate? There is a lot of room to guess there as people have different ideas of how much protein they want or think they need. Typically 80-10-10 people are eating lower protein diets…so you may not be on the right diet for what you are trying to achieve (I may be able to comment more or make other suggestions once I know some numbers!). Thank you so much for this article, I thought I was going mad, I had very peculiar symptoms, I felt as though my body was giving up on me, my stomach was extremely bloated and acidic, my glands were up, I couldn’t work out why I was in so much pain. My diet is pretty clean, I rarely eat meat and I wanted to increase my protein intake, I cannot eat chick peas, lentils etc so I bought an organic brown rice and pea protein powder, it said “organic and alkalising” so this has to be good for me right? I could not have been more wrong, my doctor sent me for an abdominal scan as she was worried about by stomach being so hard and bloated, just days after I stopped the protein powder my symptoms started to ease. Thank you for the alternatives, I will give hemp seeds a try. Great article! 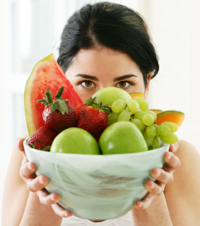 So what can I consume soon after a workout if I stop the protien powders and opt for more natural foods? Especially to gain muscle mass (I am a little underweight) and in liquid form so I can have it straight after the gym? Thank you. 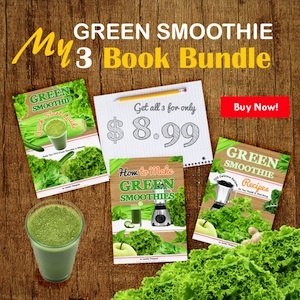 I’ve got some great pre-workout and post-workout smoothie recipes made with all whole and pure ingredients in my book – Green Smoothies for Dummies – available for sale on amazon and iTunes. Definitely check it out! Thanks for the insightful article Jennifer! It’s nice to see someone who considers the internal health of the body and not just the external results. My question is about whey protein concentrate. I have heard it is preferable to the isolate version and has numerous health benefits. Plus, I can purchase a non-gmo, pasture -based version at my local health food store for cheap. While I’m asking, what are your thoughts on pasture-raised eggs and organic Greek yogurt? These are pretty much the only other non-vegan foods in my diet. Thanks so much! Since I don’t eat meat cuz gallbladder was taken out & everytime I would eat meat I get pain so I stopped that was in 1998. I didn’t bother with powder at all, since in 2012 I was diagnosed MS & still won’t try any powder for fear of not knowing what else can harm me. My question is, what can I use or replace to have protein in me? cuz I know I need protein. I make raw smoothies lots of time & trying raw recipes as well. Protein is readily available in many plant-based foods, including nuts, seeds, spirulina, hemp, leafy greens, and legumes such as chick peas, black beans, and lentils. And actually, you most likely don’t need as much protein as you think. There are many large animals in nature, such as horses, water buffalo, elephants and cows that do not eat meat and have plenty of muscle mass. Where do they get their protein? From greens! I just heard a story yesterday (NPR?) about a 36-year study done decades ago on 150+ people who had MS. Basically, it focused on diet, and found that cutting out meat & dairy and eating primarily fish (for protein/meat) produced great results and de-escalated just about all of the symptoms. Sorry I don’t have a ref link, but I’m sure if you go to the NPR site, or do an in-depth search online, you’ll find some info on it. Note that according to the story, the medical community doesn’t really support the study and it’s findings – but some interesting points were brought up in the way of, what do you have to lose by changing your diet to a more healthier option? from what I understand hemp oil is removed in the process of making the protein, so it’s not fully a wholefood. Do you have any thoughts on this? Thanks for pointing out this important detail and for sharing your concerns. It’s actually true that hemp protein powder has the oil removed so it’s not a whole food. I recommend to use the hemp hearts or whole hemp seeds (organic of course) since they still contain the hemp oil. And actually they taste really yummy too, a nice side bonus! from what I understand, hemp protein is not a whole food, because it has had the oil removed during the process. Is the oil necessary for giving it the benefits of a whole food? I have been eating it with coconut oil (I guess with hemp oil would be even more accurate). Do you have any thoughts on this? Hi! Could you please see if these 2 powders are acceptable? INGREDIENTS: 100% USDA Organic Chlorella Powder ; 100% USDA Organic Spirulina Powder. STRAINS: Cracked Cell Wall Chlorella Pyrenoidosa Mixed With Spirulina (Arthrospira Platensis). PRODUCTION: NO GMOs; NO Additives. NO Fillers. NO Preservatives. NO Binders. NO Artificial Colors/ Flavors; NON-Irradiated; VEGAN. Tested and free from contamination of microcystins. Our Chlorella and Spirulina are “pure strain” cultivated in controlled man-made ponds using natural sunlight in an unpolluted environment. With years of experience in microalgae production, regular checkups, stringent control and surveillance over the ponds, we are able to avoid microcystin contaminations. 1. This looks ok! Personally I prefer the Nutrex Hawaii spirulina (grown in Kona Hawaii) and the Healthforce Nutritional chlorella tablets…but what you have shown looks clean. 2. Not a fan of this due to the Pea Protein (read the article for why). I also don’t like Mesquite powder as I find it can be a spice blend and contain other nasty flavor enhancers. What are the INGREDIENTS for each please? I use their brown rice protein (literally every other from whey all the way to egg gives me stomach aches etc). The rice seems OK to me, though it makes your waste smell quite bad, which in and of itself means that something’s not quite ideal about it. Sunwarrior brown rice protein is wonderful. I have been consuming it everyday for years now. It has no effect on my stomach like the other brands. I would definitely be hesitant to take a non-organic brown rice product as you have no idea what is the source or quality of the rice. Even in an organic form, I would ask – why to eat such a processed food? There is no guarantee that there are no added fillers either. If you want to eat brown rice, then eat organic brown rice and find the highest quality NON-GMO organic rice you can find. You can then be sure that you are eating only organic rice in a whole form, as nature intended. Can we build a muscular body with Hemp Proteins and Spirulina powder, when used besides sprouts, beans and pulses as other sources of proteins? Animals instinctively eat correctly according to nature and all is ok. They don’t even get osteoporosis. We humans think they we do better so we race into the lab and try to make new foods all the time. And guess what? We are the sickest species on the planet! I think we have more than a lot to learn by going back to natural, whole and pure! Your opinion for the sun warrior protein? Since I have pretty much made it VERY clear that I am not a fan of PEA protein, you could reasonably say that I am not a fan of any protein powders that contain pea protein, including sun warrior brand. The human body was just not designed to digest extracted protein powders. The poor kidneys cannot keep up with that kind of workload. Hemp protein is a WHOLE food protein, not an extracted protein, so that one would be ok! Pea protein is NOT a whole food – it is an extracted protein. I hope that helps! Thanks for your great advice on protein. I workout pretty vigorously 3-4 times a week cardio & weights and find the plant based protein I take gives me flu like symptoms. After researching on your site I now know why. Could you please recommend the best ingredients to add to my daily green smoothy which contains spirulina,chlorella,barley grass,alfalfa & wheatgrass. Also is it okay to have more than one of these smoothies a day! I would like to increase muscle mass not lose weight. Your advice would be much appreciated, many thanks. Definitely ok to have more than 1 green smoothie per day! 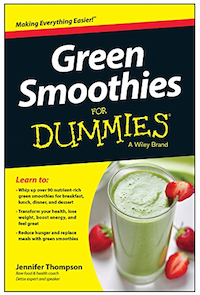 For adding more protein to your smoothies, you should check out my book Green Smoothies for Dummies – available on amazon and iTunes – in there, I have recipes for before and after work-outs. Protein is one ingredient, but you should also be thinking about what foods help with muscle recovery and repair. That’s all covered in my book! Thanks for stopping by and checking out my site. I’m happy you found out about your protein powder and are looking for ways to upgrade your health! why hemp and spirulina powders are allowed, do they prepared differently to how the rice and pea proteins are made, what about sprouted rice protein are they still bad?? Hemp protein is a WHOLE food powder, that means whole hemp seeds are ground into powder form. Spirulina powder is a WHOLE food powder, that means spiraling is dried and then ground into powder form. Pea protein is an EXTRACTED powder, that means peas are hydrolyzed and messed with in a lab; the fiber and other elements are removed and only a concentrated artificial protein is left (it is artificial because you will not find extracted proteins in nature). Rice protein is also an EXTRACTED powder as per above. Hopefully you can see now that whole foods are the BEST choice because your body is a WHOLE body! We don’t know how to digest or deal with concentrated proteins and the result is stress, damage and havoc to the kidneys in addition to chronic acidosis, i.e. not good. Good luck and healthy blessings ! And what about hemp protein? Any better?